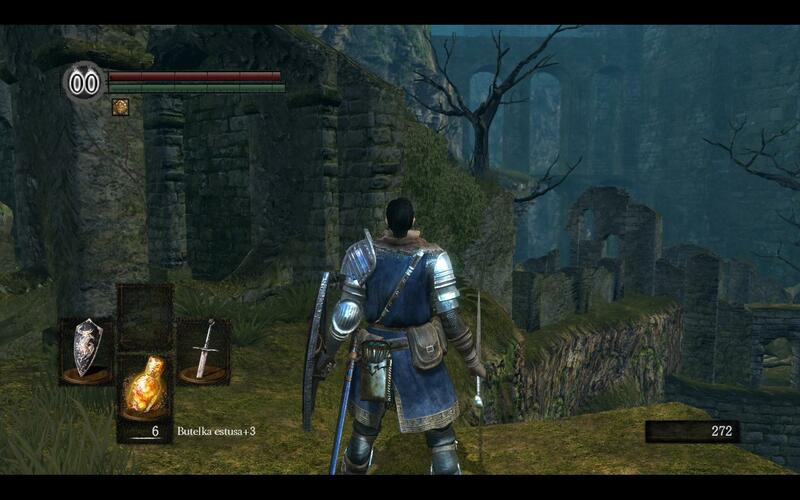 The GUI for Dark Souls has a lot of the features you expect from an RPG. In the top left hand corner you have a health bar which is the red one like in most games and you have a stamina bar which is the green one also like most games, every class and character in the game has the same. Underneath these bars it shows little images of what buffs the player has on them so you know by the visuals, and if you don’t have any buffs you wont have anything there. Next to the health and the stamina bar is a number and this tells you how much humanity you have which is used to get better loot, the more humanity you have the better loot you will get, when you die you lose all your humanity. This also indicates if you are in human form or undead form, if its lit up you are human, if its greyed out you are undead. 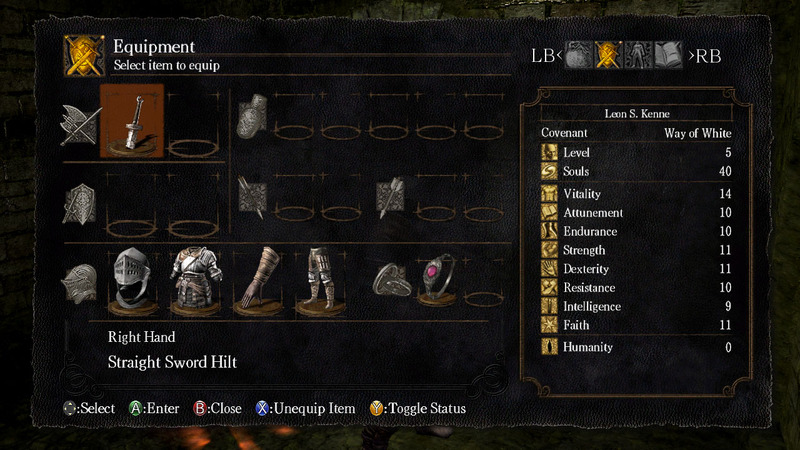 In the bottom right of the screen is the number of souls you currently have, Souls are the currency in Dark Souls and are used to buy weapons, armour, items, spells and they are also used to level up your character. The bottom left of the screen is where you can see the weapons you have equipped and clicking left and right on the D pad to whatever you have set as your second weapon. Also in the bottom left shows you have items you have and pressing X on a Xbox pad uses this item, its for potions and other items of that nature, you can cycle through your items by pressing down on the D pad. The start menu in dark souls is in real time and doesn’t pause the game, so if you are in a fight the enemy will keep attacking you. From this menu you can see all your stats and equipment and change out your set up and stuff which most start menu’s for an RPG should do but with it been in real time makes it unique. I think the GUI for Dark Souls is good because it shows you all the information you need to know on the screen and helps the player, if it wanted to be more immersive they could get rid of the visual D pad and just have it pop up when you press on the D pad rather then it been there all the time. Also the health bar could go in favour of the screen just getting more red the more damage you take but because you don’t regenerate health it is probably needed to be there. I think if the GUI was changed to be more immersive it would make it more difficult for the player and that isn’t needed because the game is already very difficult.